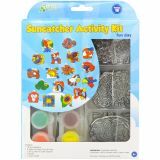 Kelly's Kidz Sparkle Fun Animals Suncatcher Activity Kit - KELLY'S CRAFTS-Kelly's Kidz Sparkle Suncatcher Activity Kit: Group Pack. A great way to decorate a room, add color to an otherwise colorless window and much more. 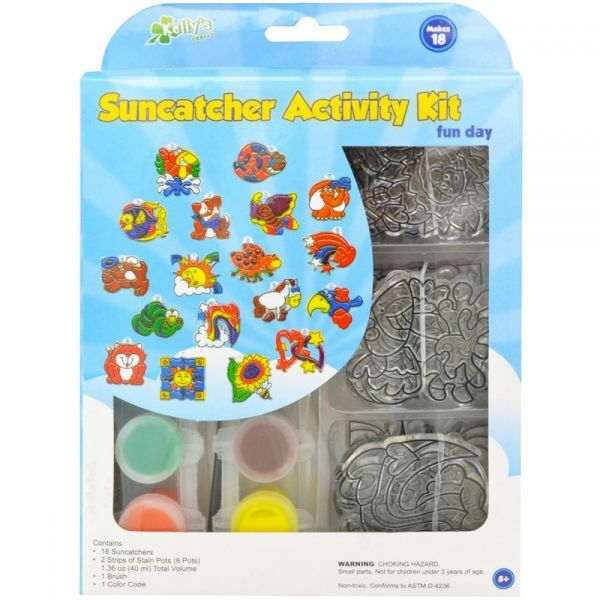 This package contains 18 sun-catchers, eight cups of stain (colors vary by design), one brush and color coded direction. Available in a variety of design combinations: each set is sold separately. Conforms to ASTM D-4236. Recommended for children ages eight and up. WARNING: Choking Hazard-small parts. Not for children under 3 years. Made in USA.